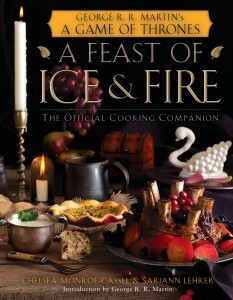 The amount of work put into the recipes in the cookbook is amazing. I look forward to 3/31, and being part of a potluck where we've all picked our favorite. Who couldn't love beef n bacon pie? I love Bryan Cogman's book. 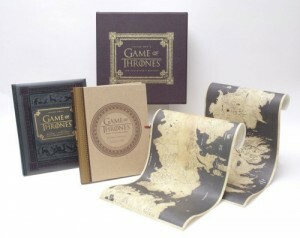 From just the material the book is made with, to the explanations and logistics of some of the sets, to the absolutely beautiful photographs inside, any ASOIAF/GOT fan should add this as a must-have. 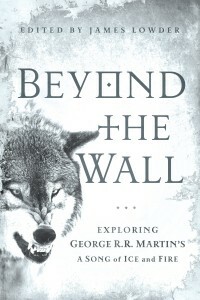 I seriously want to quit my job in San Antonio, travel to Belfast, and beg for a job, any job on that set :P.
Beyond the Wall - Despite many of the lower reviews by alleged intellectuals and pseudo-intellectuals on Amazon, the essays inside are an intriguing read.